Operation Yellow Elephant: As the Bush Administration concludes . . .
Operation Yellow Elephant welcomes President-elect Barack Obama and wishes him, his Administration, and our country all the best. We note that Senator Obama, during the campaign, promised to ask Americans to serve in our military, among other ways to serve. To our knowledge, President George W. Bush never asked Americans to volunteer for military service [if eligible], or to encourage their eligible relatives and friends, their circles of influence, to consider serving in our military. We are disappointed that President George W. Bush's strongest supporters, the College and Young Republicans, with certain exceptions, failed to mobilize in this manner, and fulfill their own national leadership responsibility to set a good example for the rest of us. It is thus no surprise to Operation Yellow Elephant that the American people have chosen the loyal opposition, the Democratic Party, to run both political branches of our government. The College and Young Republicans chose to miss out on this opportunity and must accept the consequences of their decision. We are still in Iraq and Afghanistan. Real American patriots, military and civilian, continue to serve overseas to accomplish our national objectives. 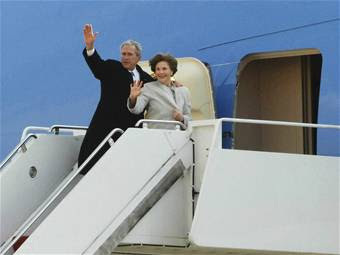 As the Bush "43" Administration concludes, please don't forget them. President Obama will need our support as he confronts significant challenges ahead. You noted that Obama said he would encourage Americans to join the military. When will you and your fellow pansies answer Obama's call and enlist? It's time for you to stop the excuses.